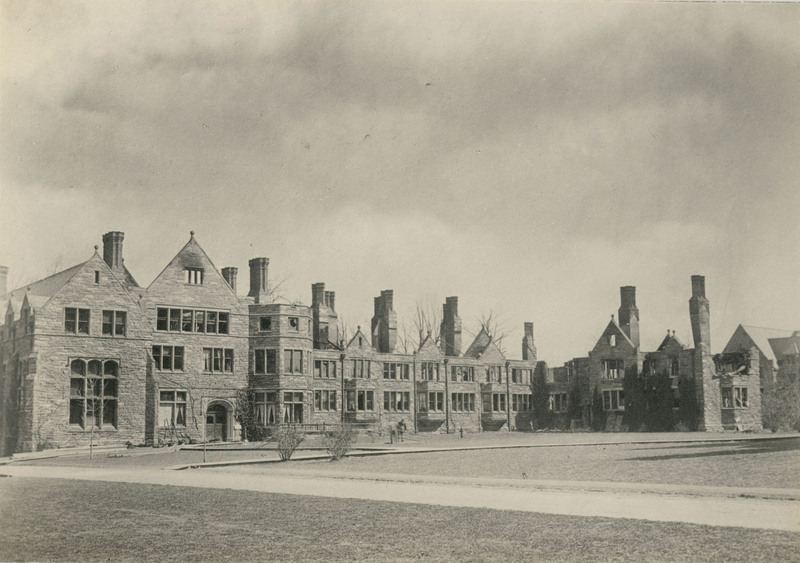 Radnor Hall was the second hall of residency opened, and was completed in 1887. It is built of stone, has its separate kitchen and dining hall, provides accommodations for fifty-five students, and is under the charge of a resident warden, Miss Virginia Tyron Stoddard. It contains forty-three single rooms of the usual size; two larger rooms on the fourth floor; a single room, number 52, of unusual size; three sets of three rooms, two bedrooms and a study, to be occupied by two students, and three sets of two rooms, each set to be occupied by one student. Denbigh Hall was the third hall of residence opened, and was completed in 1891. 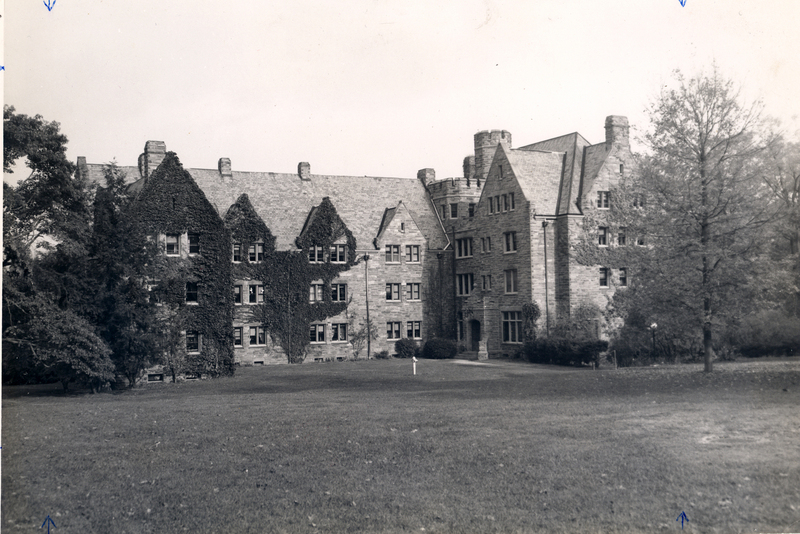 It is built of stone, has its separate kitchen and dining hall, provides accommodations for sixty-nine students, and is under the charge of a resident warden, Miss Alice Anthony. It contains forty-five single rooms of different sizes, and twelve sets of rooms comprising each two bedrooms and a study.